Did you miss it? 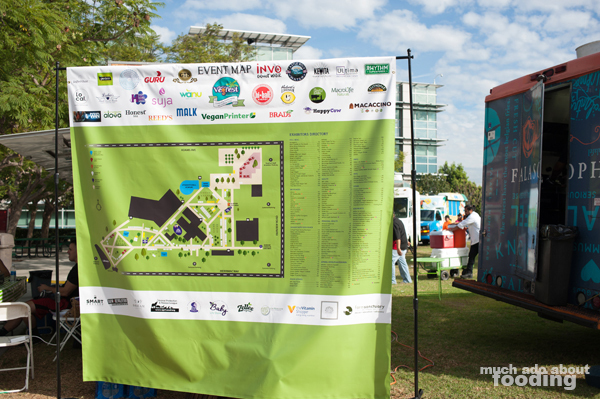 From October 29-30, 2016, the largest vegan food festival in southern California took place in Costa Mesa at Orange Coast College, this being the second year in a row that the SoCal VegFest occurred. 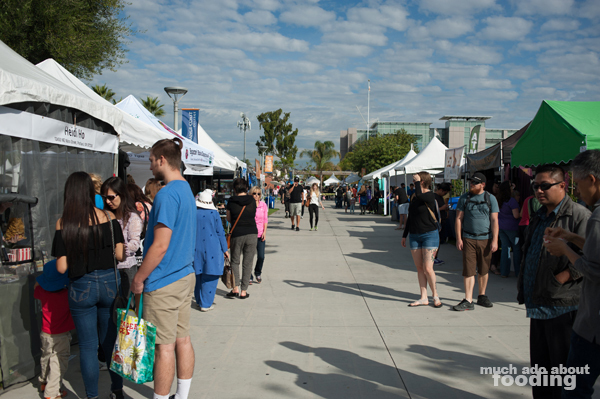 The festival was initially created to educate and introduce residents of southern California to the health benefits on adopting a vegan lifestyle as well as support and showcase those producers and restaurants who have taken this on as their own mission. The goal is "to inspire and support anyone who wants to learn more about living a more healthy, environmentally conscious and compassionate life." The free festival anticipated more than 15,000 attendees over the two days, and in the brief moments that we attended, it seemed entirely possible for such a turnout to happen. There were quite the number of guests milling around the large campus, a great location which allowed the festival to sprawl out and take over the space. This family-friendly weekend conducted a lot of lectures from experts and doctors, cooking demonstrations, and musicians in a main tent "stage" area as well as some side tents with other types of presentations. 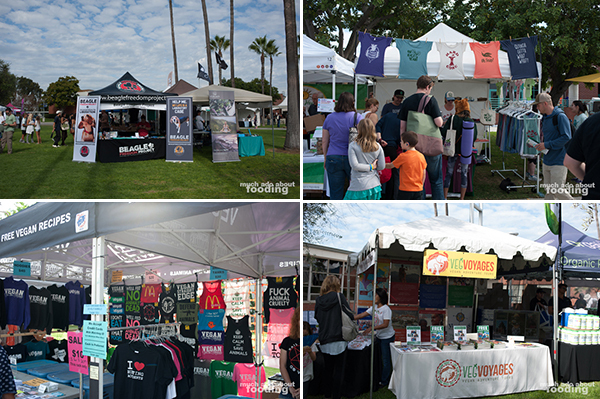 At nearby booths, guests could purchase merchandise featuring the vegan lifestyle, learn about publications and vacations that focus on the lifestyle, and even get more information on nonprofit/charity causes to support. 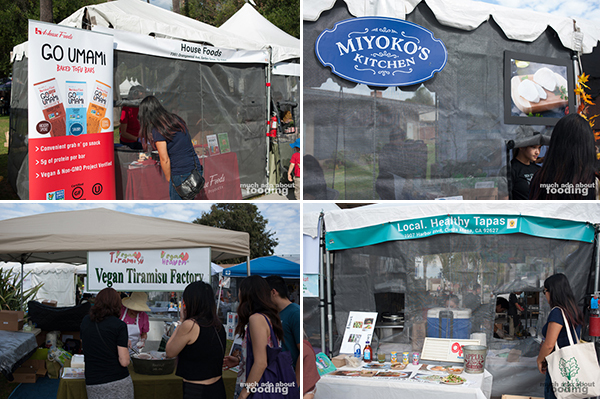 Even with all of the features on the active, health-conscious lifestyle, the majority of the festival was focused on food. 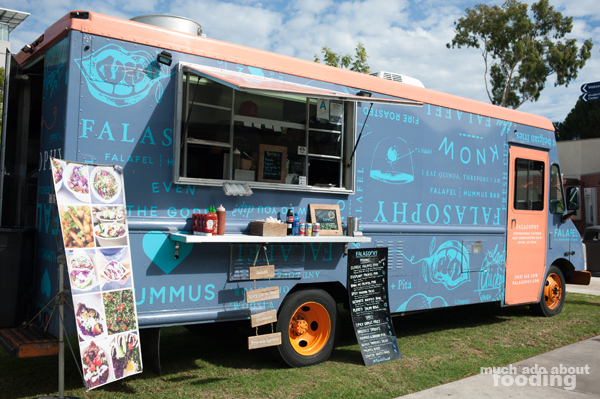 Food trucks circled designated areas where people could indulge in plant-based meals, and booths for retail vendors were always bustling. 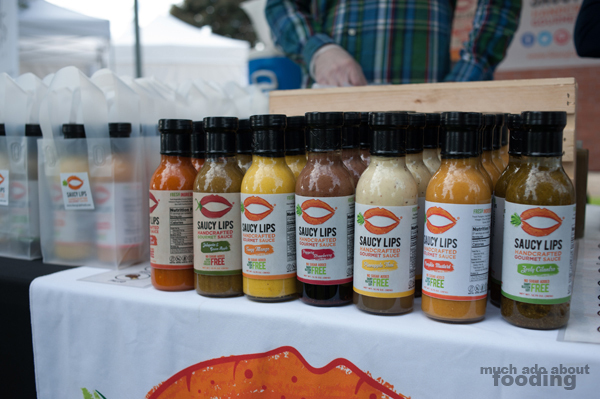 Representatives were helpful in sharing with everyone where their products could be found, and the samples helped lure people into learning more. 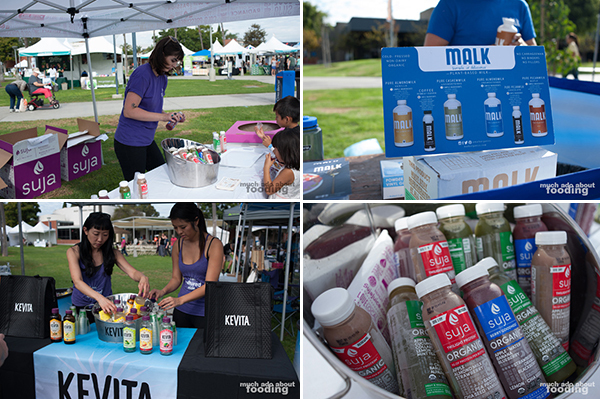 We were enamored with Miyoko's Kitchen for their faux cheeses and spreads as well as the lovely mock meats from the Vegan Tiramisu Factory. 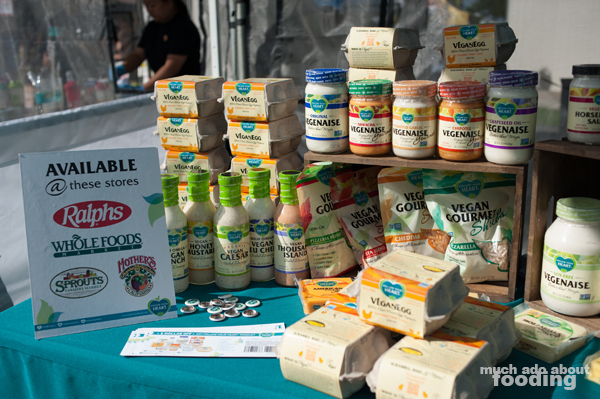 In addition to the 70+ vegan food vendors who were sampling out their products were booths that allowed guests to purchase ready-to-take products out to enjoy then and there. We got our hands on a few items to give a try ourselves so will have to share with you if we make any discoveries that must be given more notice! 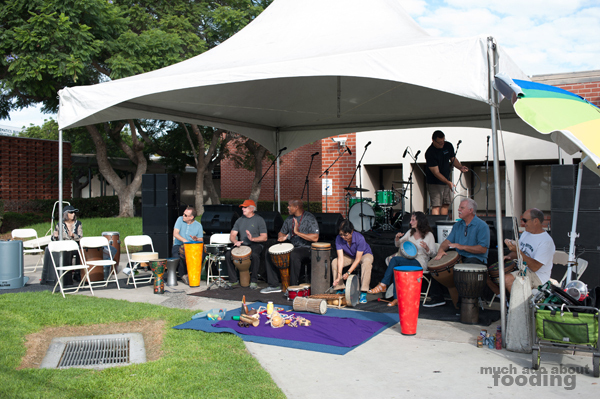 If you're interested in visiting next year's festival, keep an eye out for the fall timeframe. 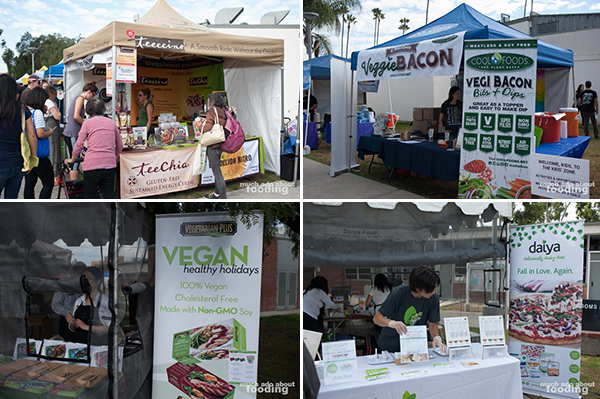 The SoCal VegFest is run as a project of Animal Protection and Rescue League (APRL) and aims to be an annual tradition to continue sharing the message of plant-based, health-conscious lifestyles.